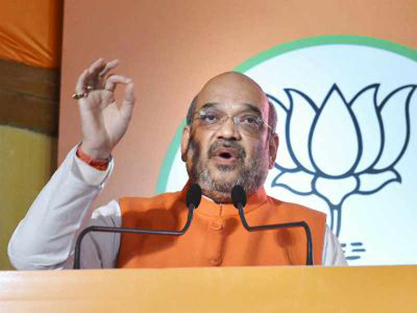 Bharatiya Janata Party National President Shri Amit Shah on 03 February, 2017 called off his ‘Padyatra’ in Meerut following a brutal murder of a person in the city and lashed out at the Samajwadi Party government, saying Uttar Pradesh has become India’s Crime Capital under it. Citing the recent killing of a businessman in Lucknow and other crimes took place in the state he said such murders have become a common occurrence in the state and an atmosphere of fear and terror reigns there. The morale of criminals is so high in the state, even police personnel are not safe let alone the common man. Earlier in the day, Shah had cancelled his in Western UP’s Meerut district to protest the murder of a city trader who was shot dead by robbers a day ago. In Meerut, he also attacked the the state. Interacting with media persons he said the way incidents of crime against the common man have risen under the Akhilesh Yadav government, an atmosphere of fear and terror prevails in the state. 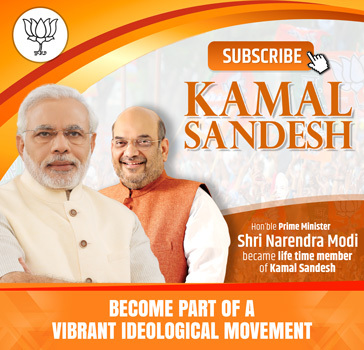 “BJP will fight for the issue of law and order in the streets of Uttar Pradesh. Restoring the law and order and sending criminals behind bars will be our priority after a BJP government is formed,” he said. Citing figures, he said cases of 24 rapes, 13 murders, 33 kidnappings, 19 riots and 136 thefts occur daily in the state, leading to 7,650 incidents of crime per day. “UP has become the country’s crime capital,” he said. While the entire state is witnessing lawlessness, both princes, Rahul Gandhi and Akhilesh Yadav, are busy in political rallies. Why are both princes are silent? Do they like this ‘goondaraj’? he asked. Protesting the incidence even BJP MPs raised the issue in Lok Sabha in the next day shouting slogans like ‘Akhilesh ka haath goonda-gardi ke sath’ (Akhilesh is with goons). They later sat on dharna outside Parliament. Noteworthy, Abhishek (24) was killed when he was with his father Sushil Verma, who owns a small business, and three workers working in his godown near his house at Sharda road in Brahmpuri area. Five armed men barged into the godown while two of their accomplices stood outside. The attackers looted the godown at gun point. When Verma and his son resisted their attempt to flee, the gang members opened fire following which Abhishek died on the spot. Verma and three others were injured and were later admitted to hospital.